Applying compost to the soil starts a biological process that decomposes organic matter and builds soil. 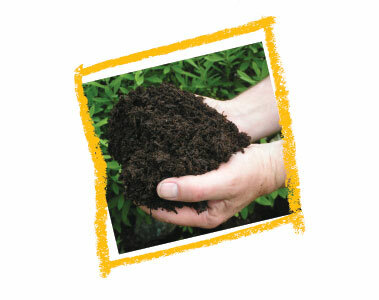 In fact, the humus in compost actually feeds the micro-organisms that are essential in keeping the process going. Ultimately compost helps loosen clay soils by creating open spaces that allow air and water to circulate through the soil instead of merely running off the surface. Conversely, compost helps unite the coarse particles in sandy soils so they can retain water and nutrients longer. Either way, your plants get a steadier flow of nutrients and water for optimum growth.